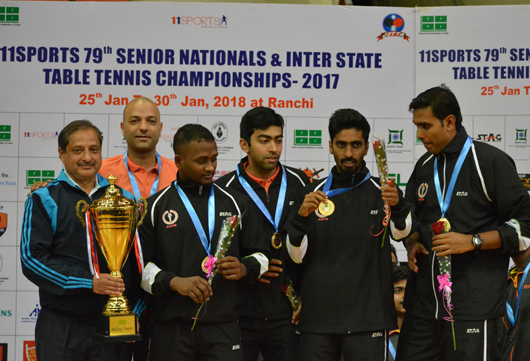 Ranchi, January 30: A. Shrath Kamal yet again proved the adage that old is gold, The 36-year-old beat top-seeded Anthony Amalraj 4-1 to win the men singles title for the eighth time, equalling the feat of Kamlesh Mehta in the 79th edition of the 11Even Sports Senior Nationals at the Mega Sports Complex at Khelgaon here today. Ranchi, January 29: Fifth seeded Mouma Das could not take the pressure of facing young legs as the six-time national champion made her exit from the 79th edition of the 11Even Sports Senior Nationals at the Mega Sports Complex at Khelgaon here today. 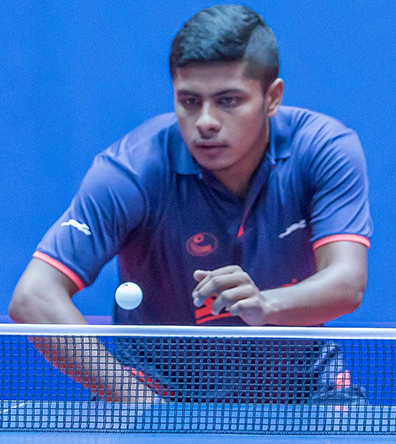 But the biggest shock was second seed Arjun Ghosh bowing out in the round of 32 to Gujarat’s Manush Shah 2-4 (7-11, 7-11, 3-11, 12-10, 11-6, 5-11). 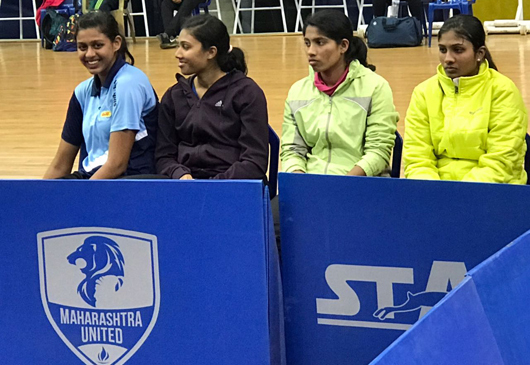 Ranchi, January 28: With most top players preferring to conserve their energy for singles, it has become a fashion for paddlers to not take the doubles events seriously even in national championships. This has made the earnest efforts of the federation, which is trying to find ‘set’ pairs to help India win medals at CWG in April or the Asiad, a few months later, a futile exercise. Ranchi, January 27: A. Sharath Kamal, when in a killing mood, doesn’t spare even the best. Leading Team PSPB from the front, the world No. 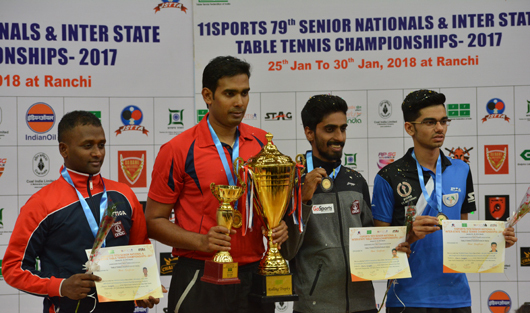 51 exhibited fine table tennis to shut out Haryana 3-1 to hoist the glittering trophy in the 79th edition of the 11Even Sports Senior Nationals at the Mega Sports Complex at Khelgaon here today. Ranchi, January 26: The second-day table tennis action in the 79th edition of the 11Even Sports Senior Nationals was a slow and painful drag and didn’t serve anybody’s purpose, including Tamil Nadu’s as their team completed their group F engagements at the Mega Sports Complex at Khelgaon here without Reeth Rishya’s presence in the morning.